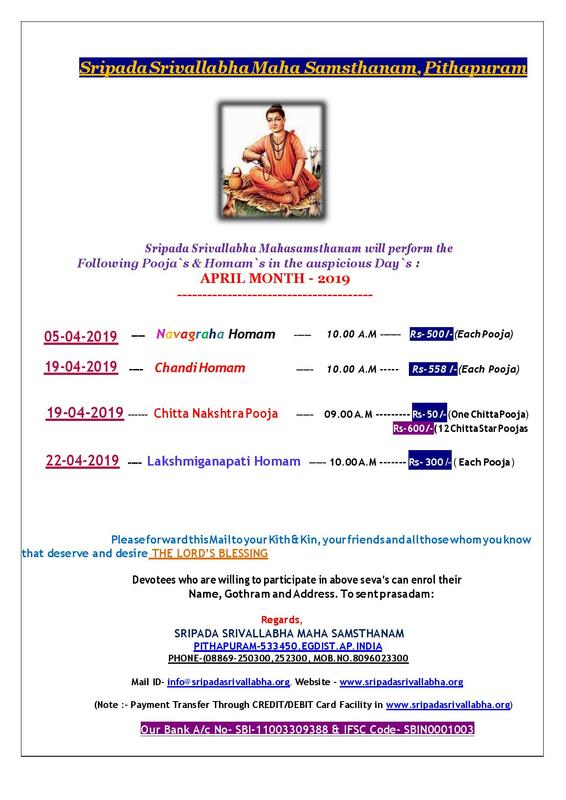 NOTE : DEVOTEES : WHOEVER DEPOSITED AMOUNT IN STATE BANK OF INDIA (SBI) A/C NO 11003309388 & A/C NO 11003309399 FOR ANY SEVA / DONATION PLEASE FILL THE ATTACHED FORM WITH PROPER PROOF TO GET PRASADAM. This Sripada Srivallabha Mahasamsthanam Which you now visited is actually the sacred premises where Sripada Sree Vallabha incarnated ! This is Sripada Srivallabha! 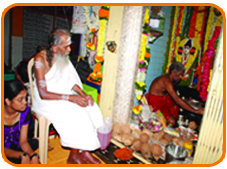 Lord SRIPADA SRIVALLABHA is the first and foremost incarnation (Avatar) of Jagatguru Sri DATTATREYA, took place in 1320 AD. at Srikshetra PITHAPURAM. 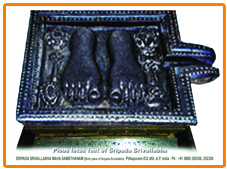 SRIPADA SRIVALLABHA is the most powerful and capable in destroying the difficulties, losses, miseries and obstacles occuring in the developments of His dedicated devotees. 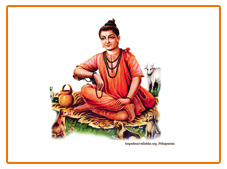 The aim of SRIPADA SRIVALLABHA′S incarnation is to bless Maha Siddhas, Maha Yogis and to uphold Dharma through them in the Universe.